Have you ever dreamed of an assistant, who can help you in cleaning your carpets? Now you have it! 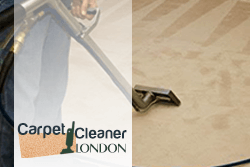 We developed our carpet cleaning services to help you spend you free time with your family, than scrubbing on your knees, trying to remove the dried stains from your carpet. It is way easier to trust our experts in Bowes Park N22, N13 who will perform this chore for you in no time but with terrific results. Entrusting carpet cleaning services is not a luxury, it is a necessity if you want to have home, free of mites which can harm your health. Moreover, you will avoid the risk of destroying your carpet with the different chemicals, used in the detergents. 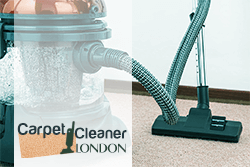 We deliver our carpet cleaning services all around Bowes Park and what makes us the most preferred by all others is that we not only offer you with the great possible and even impossible results, but also we are at your disposal any time, which is comfortable for you. We value your time and that’s why our carpet cleaning technicians are always on time and perform the task fast. You don’t need to spend all your day at home, waiting for us. Moreover, we can save you the passing by our office, just call us or text us, provide us with more information about the size, the material and the soils of your carpet, and we will give you a quote. Enough with the hard scrubbing and the pains in the hands and the knees! Our company is based in N22 or N13 London and if you live nearby, get advantage of our services and we will help you escape this nightmare, without ruining your budget. Our prices are in accordance to the specific character of your carpets and we provide discounts for our regular customers. Don’t hesitate any more, and try one modern solution for cleaning your carpet.